Samuel Vescovi dashed by elephants, lions, zebras and several types of monkeys for more than two miles last fall. 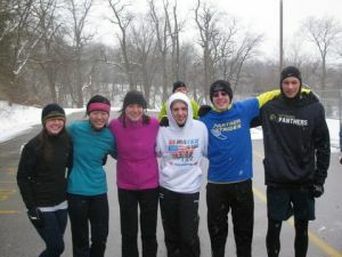 On a November morning, Vescovi took to the pavement for a less-than-traditional 5K during the ZooZilla Run at the Pittsburgh Zoo. 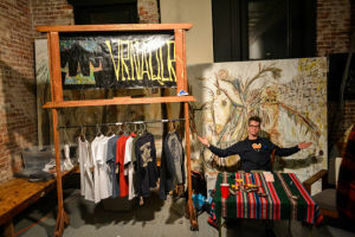 Sorek, a junior studying human resources management and marketing, fused his artistic talents and business background to launch his streetwear brand, VRNAQLR. The brand features a number of T-shirts emblazoned with the signature sketch of a skull — VRNAQLR’s logo. 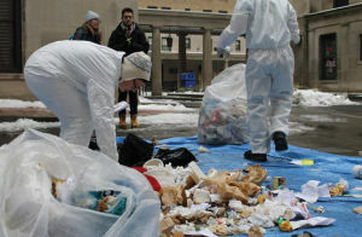 From noon to 2:30 p.m. Wednesday, Free the Planet, a Pitt-based student environmental organization, hosted its annual waste audit in the Schenley Quad. Members of the group collected trash bags from a number of receptacles on campus. They then laid a tarp in the parking lot by Litchfield Towers and dumped the bags’ contents.